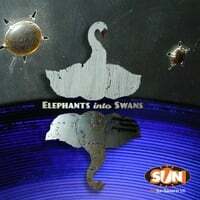 The Sun Sawed in 1/2-Elephants into Swans. The big news for 2013 so far is the return of The Sun Sawed in 1/2, Tim Rose's psych-tinged power pop group that ruled the 90s as one of the genre's top artists (1997's Fizzy Lift made John Borack's Top 200 Power Pop albums of all-time in his Shake Some Action! book). But after their fourth album, 2000's Bewilderbeast, all we heard from Rose was his Fresh Mowed Lawn project, which put out a fine 2006 album. The good news is that the new album is like they've never been away. "You're the Something" continues their big, brash, melodic sound, complete with horns; the title track recalls Jellyfish with its keyboards-based melody, and "Brittle Star" is a gleeful power-pop number. And the mark of a great power pop band is the ability to handle the slower material with facility; here, tracks like the McCartneyesque "Ocean" and "Nowhere Fast" are as strong as the rockers. A triumphant return. 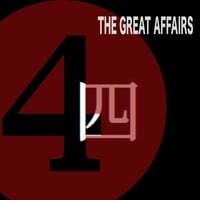 The Great Affairs-4. For a few years now Denny Smith has been alternating between the hard power pop of fORMER and the roots rock of The Great Affairs, but now that he's retired the, uh, fORMER it almost seems as if he's merged the two sounds on this new 7-track EP from the latter. This is apparent right off the bat- while "Rock 'n' Roll Heart" rocks as hard as anything released under The Great Affairs name, it isn't exactly hard. "Shame on You", on the other hand, does rock fairly hard in the classic rock sense as its bluesy underpinning means it wouldn't sound of place on a Black Crowes record. For those who liked the traditional roots/country-rock sound of The Great Affairs, "The Ring" is a midtempo gem and "Gone" is a wonderful, primarily-acoustic ballad with an indelible melody. But "Fits & Guitars" is as loud and brash as its title implies, meaning that his, uh, former band isn't quite dead and gone. 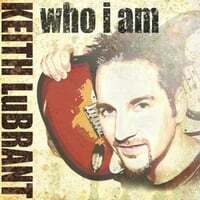 Keith LuBrant-Who I Am. Jersey power popper Keith LuBrant is back like clockwork with his third album, having last entertained us six years ago with Searching for Signal and releasing his debut album six years before that. Like his first two albums, Who I Am features catchy, no-frills power pop but with a bit more emphasis on the guitar sound this time around. The pulsing rocker "Wide Awake and Alive" comes roaring out of the gate as LuBrant announces his return with a declarative statement about playing music he loves, and "She Always Finds a Way" shows his mastery of the power pop form with crunchy guitars and a sing-along chorus. Elsewhere, "Call Off the Search" recalls vintage Gin Blossoms, the midtempo "Breathe" boasts an easy melody and some fine guitar work, and the agreeable rocker "Stranger in My Skin" nods to the guitar riff of "Baba O'Riley" in its chorus. LuBrant sounds like he's never been away, and he'll probably sound that way when his next album comes out in 2019. UPDATE: Now available from Kool Kat with a bonus disc. Daniel Novick-Devil Down. The debut full-length from NYC singer-songwriter is billed as his "journey from Nashville to Los Angeles to New York, a path filled with love, heartbreak, pain, and redemption" and while it may be that, it's also an extremely agreeable pop record with hooks and melodies galore. The opening title track is Exhibit A for this premise, with a driving beat and an earworm of a chorus. "Pacific Coast Highway" isn't a bad follow-up, a perfect soundtrack for driving around with the top down (or at least the windows open). The moody piano-backed "Safe With Me" brings Steven Mark and Michael Penn to mind, and the minor-key melody of "Reason to Leave" is straight out of the Neil Finn playbook. Overall, Devil Down has proved to be one of my more pleasant pop surprises of the past few months and hopefully yours too. Here's Part 2 of David Bash's comprehensive year-end lists. Today's installment covers 2012's best reissues. A CD or LP which contains exclusively previously unrelesed material which is not from current times is still considered a “reissue” in my ranking structure. With the above in mind, while quality is the major factor in determining the rankings, other factors such as number and type of bonus tracks, liner notes, sound quality, etc…do come into play. Those marked with an * are LP-only. Note: Capitol and Universal would definitely be on this list somewhere, but since they’re not exclusively reissue labels, I decided not to include them. Note 2: Some of the sharp-eyed among you might wonder how Futureman finished at #2 without having any albums place on any of my reissue lists. It’s because Futureman specializes in download-only releases, and for reissues I don’t wish to place download-only albums on my lists. 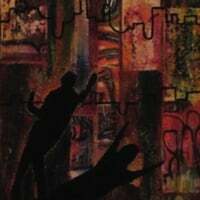 Having said that, Futureman has done a wonderful job of bringing about awareness of several awesome powerpop albums from the last 10 years, by artists like Starbelly, Liquor Giants, Gladhands, Lisa Mychols, and so many others, and for that they deserve plenty of kudos (as well as a #2 ranking here!). Static in Verona-Some Things You Knew EP. Rob Merz, a/k/a Static in Verona, is back with a brand new EP that builds on the strength of his previous releases. Opener "White Knuckles" is an atmospheric dream pop delight, while "Everything You Knew" is a piano-based stomper that recalls Spoon and "Look Like Gold" would fit at home on a Pernice Brothers album. Top-rate stuff to kick off the new year, and best of all if you like what you stream below you can download it free off the official site. 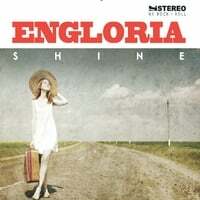 Engloria-Shine. The debut full-length from this New York band will undoubtedly appeal to fans of Brit Pop, especially Oasis as frontman/chief songwriter James Stewart bears a vocal resemblance to Liam Gallagher. This is readily apparent on the title track which commences the proceedings, which wouldn't have been out of place on What's the Story, Morning Glory?. "High Tonight" is another strong rocker, and the midtempo "Where You Are" has a bit of "Roll With It" to it. Meanwhile, "I've Been Down" has a lighter, jangly pop feel and "Melrose" manages to combine Brit Pop with a heartland rock sound. The most impressive thing about this album is that they keep the hooks coming, and there really isn't a clunker to be found.